Skincare is my fave. I have the most awkward combination/sensitive skin, so most of the time it’s quite the challenge to find the perfect set of products to bring out the best in it. Who doesn’t love a good challenge though? I’ve blogged about my cleansing favourites before, which include the budget Superfacialist Vitamin C+ Skin Renew Cleansing Oil and the luxurious OSKIA Renaissance Cleansing Gel*, and those remain my two absolute skincare saviours. 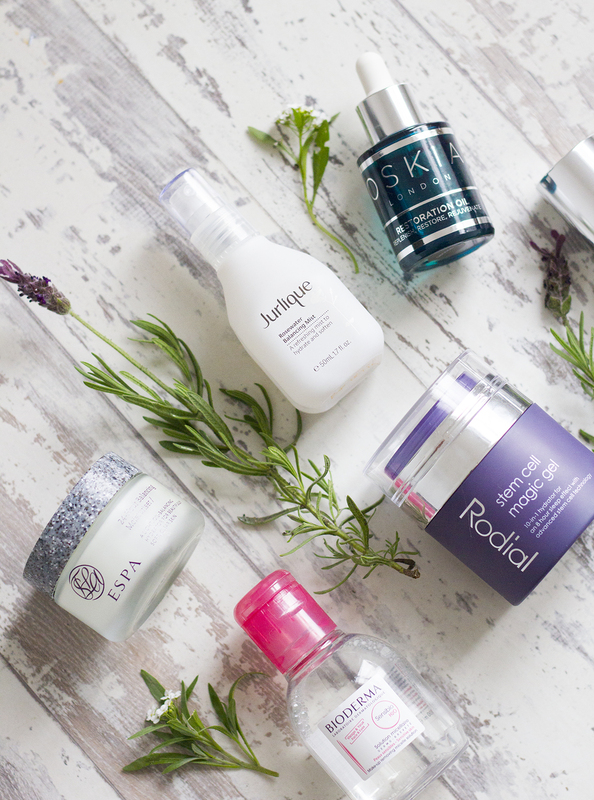 Lately though, I’ve found a few new products that have made my skincare routine feel a bit more complete. I’d basically been using whatever moisturiser I had to hand, which was making my skin feel terrible and greasy, so here’s a few products I’ve started using to turn things around. This stuff is bloody brilliant. 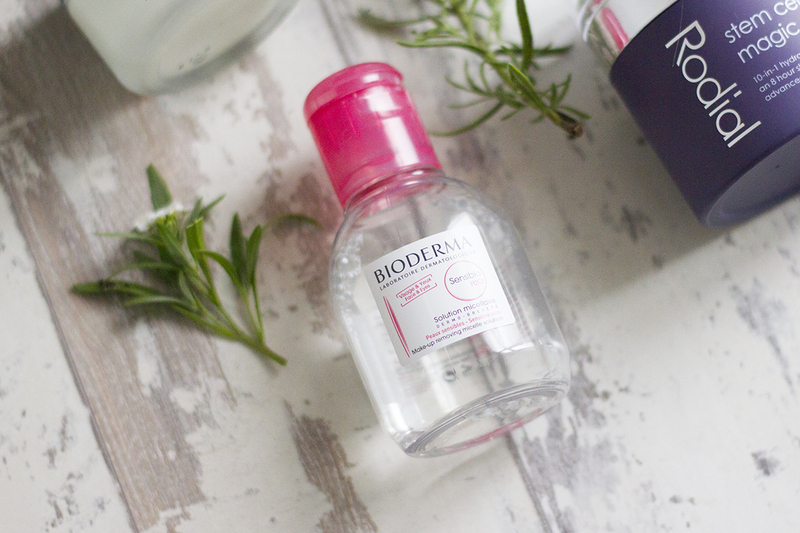 I’m so much more critical of products that are surrounded by hype, but with the Bioderma SensiBo H2O, it’s truly deserved. This baby is perfect for a lazy skincare routine. Instead of reaching for the wet wipes that ultimately end up drying my skin out, I soak a couple of cotton pads with some of this makeup removing micelle solution and it blitzes through my makeup. I opted for the sensitive option because I often find that I can’t use many products near my eyes, with the exception of the iconic Liz Earle Hot Clothing Cleanser, as they irritate my eyes. I can wipe this across my two-coats-of-mascara-eyes and not end up looking like I’ve been crying all night. Powerful but sensitive and I can’t get enough of it. I’m 100% buying the bigger bottle of this on my next trip to Boots. They do a huge bottle with an easy-to-use pump to make it just as convenient as the dreaded wet wipes! 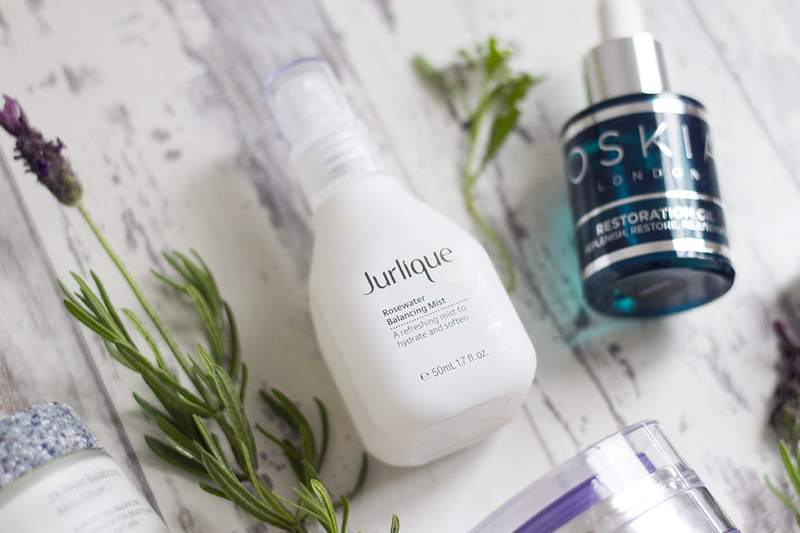 I love Jurlique’s skincare products. They feel so natural and light on the skin and this is no exception. To be honest, I had always seen this and dismissed it as a product I just didn’t need, but it’s become a proper little treat in my nightly skincare routine. The Jurlique Rosewater Balancing Mist (50ml)* contains aloe vera and rose, which have great natural healing properties, as well as marshmallow and glycerin to refresh the skin. You can spritz onto freshly cleansed skin or even on top of your makeup throughout the day to give your skin a little boost. The scent is beautiful and delicate and I’m fully addicted to spritzing this beauty all over my face after I cleanse in the evenings. I would use it more but I’m honestly getting through it so fast! Oops. They’ve recently released an intense deluxe version of the mist, which although it seems a bit pricey at £45 for 200ml, it looks even better than the original! You might remember a while ago, I posted an Instagram of some products from a new brand called Bryt Skincare. 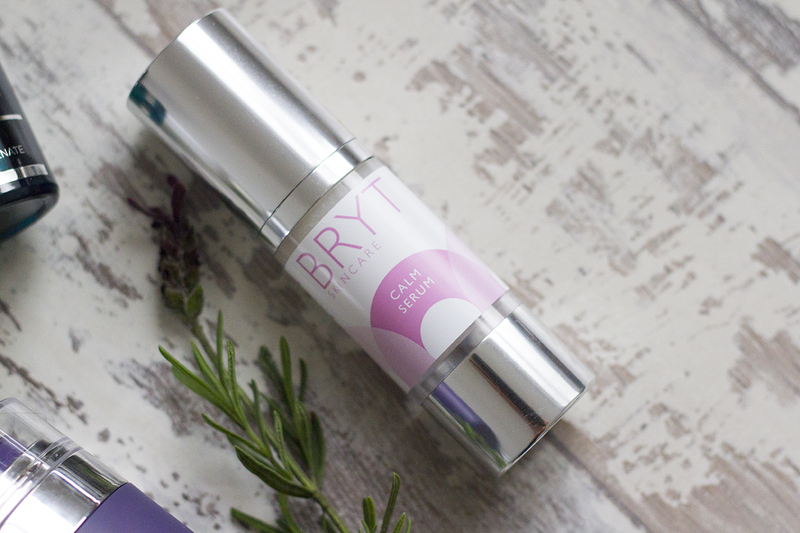 They sent me a selection of products to try for my combination skin and although I didn’t rate their foaming cleanser too highly, the Bryt Calm Serum* was a real standout for me. I have quite red cheeks, so anything that promises to calm that down a little is a winner really. This lightweight, fast-absorbing serum does just that and is perfect for oily/combination skin. It’s also packed full of essential oils and 98% natural. I also discovered that Bryt are cruelty-free and vegan-friendly, which is refreshing to see from such a young brand. They’re already setting a great example and creating some really lovely products that actually work, so you should definitely check them out. A few weeks ago I hit up everyone’s favourite payday haven, Space.NK, to check out some of their new products. I left with a gigantic, unattainable wish list, but thankfully also with a goodie bag of products to try out and share with you gals. 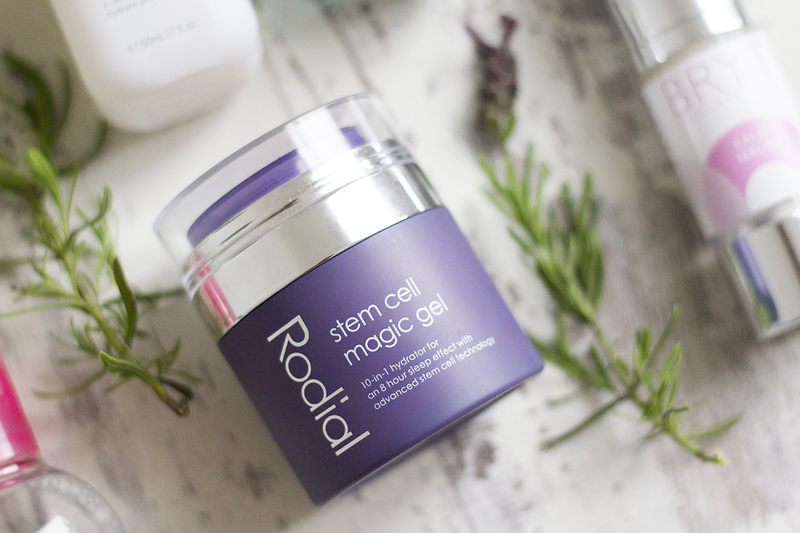 Can you believe the Rodial Stem Cell Magic Gel* wasn’t even the strangest item in there? Yup. The name itself sounds wild enough, but it also claims to be a 10-in-1 hydrator for an 8 hour sleep effect. Basically, if you’re tired or hungover, this cream-gel hybrid has got ya back. It acts like a sort of lightweight mask on your face, leaving it super smooth and hydrated. I’m not sure if it makes me look like much less of a zombie after a restless or crazy night, but it certainly makes my skin feel great. Perfect if you’re in a rush and don’t want to use a bazillion products on your tired little face. One really awkward thing about this product, however, is that you have to push the top of the bottle to pump out the product. It’s just a bit of a mess sometimes, as you have to make sure not to leave any residue on the top of the bottle. But other than that, it’s a welcome addition to my routine. Last year I had the absolute pleasure of experiencing an ESPA facial at the Sienna Spa in the Radisson Blu Edwardian in Manchester. It was a truly lovely experience and my skin has never felt so good. Mat’s mum treated me to a little bag of ESPA skincare goodies afterwards and in the mix was the ESPA 24-Hour Balancing Moisturiser, which made my combination skin feel exactly how it should: soft, hydrated and not oily in the slightest. 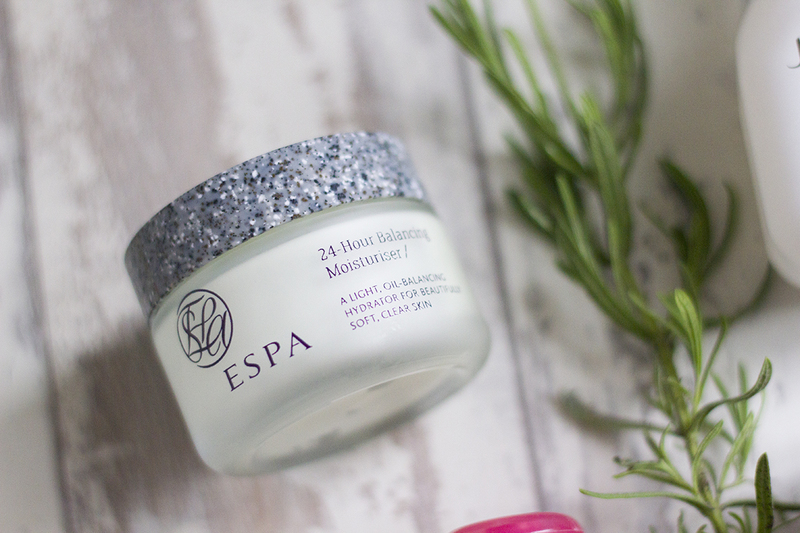 It was a tiny sample and I hadn’t really come across any ESPA stockists, but recently I spotted it on the John Lewis website and we were happily reunited. It’s a very runny moisturiser, but it sinks into skin quickly compared to other richer moisturisers, whilst hydrating my skin at the same time. I’ve struggled with my Liz Earle moisturiser, as I found it took ages to sink in and didn’t provide the best base for my makeup in the morning. The ESPA one is amazing though and I sometimes forgo primer because it works so effortlessly on its own. Facial oils are having a massive moment, aren’t they? I’ve always shied away from them as I used to think oil on the skin made skin oily, which is not true at all. Sometimes even oily skin is crying out for hydration, making them overproduce sebum to compensate, and facial oils are a great way to combat this. 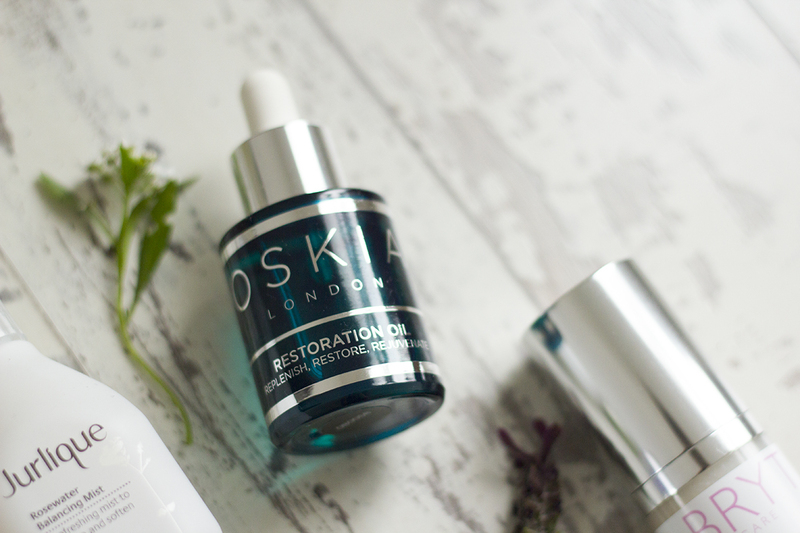 I was sent the Oskia Restoration Oil* a while back and it’s become a staple in my skincare routine ever since. With a few drops of this, either directly on to the skin or mixed into your regular moisturiser, you’ll wake up with super soft skin. I also find it’s quite calming on congested skin too, probably due to the omega-rich plant and flower oils that help soothe any inflammation of the skin. It’s a luxury buy at £62, but one that can be used sparingly and will last. I only use a drop or two in the evening! Their Renaissance Cleansing Gel is also a firm favourite of mine and complements the facial oil so well. 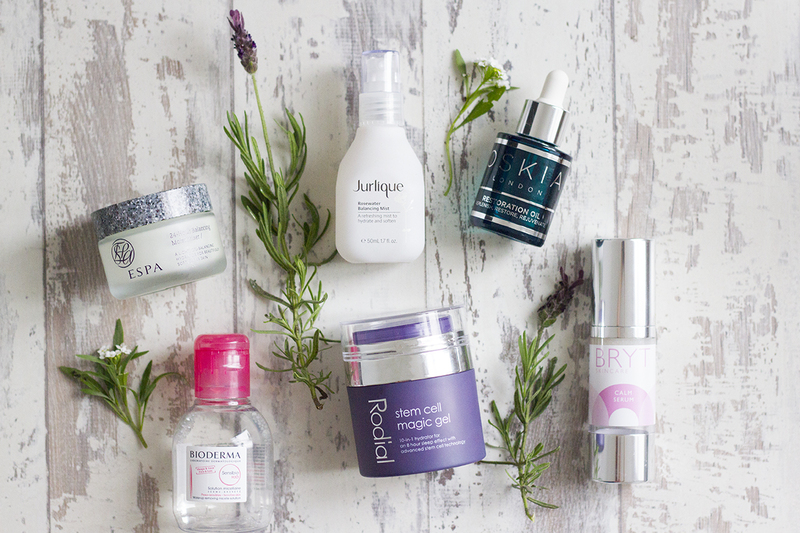 What are your skincare saviours at the moment?